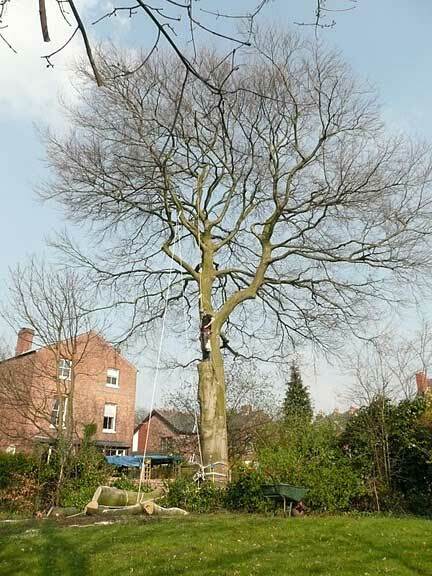 Before – The huge crown on this beech tree was completely over-shadowing the garden it was in, and several of the neighbouring gardens. 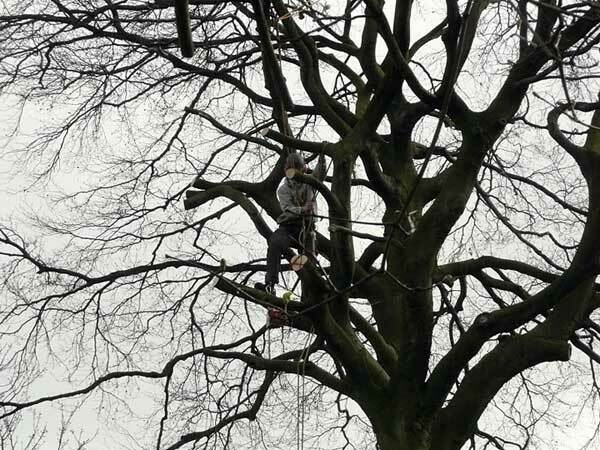 The customer wanted us to severely pollard the tree completely removing the crown and just leave a trunk. 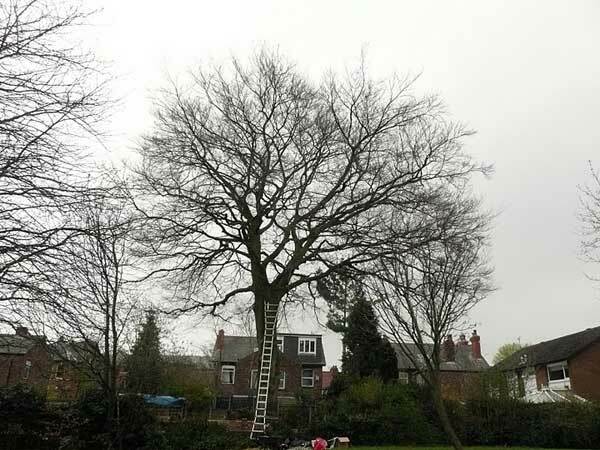 We advised him that this would risk killing the tree, which was certainly not his intention. 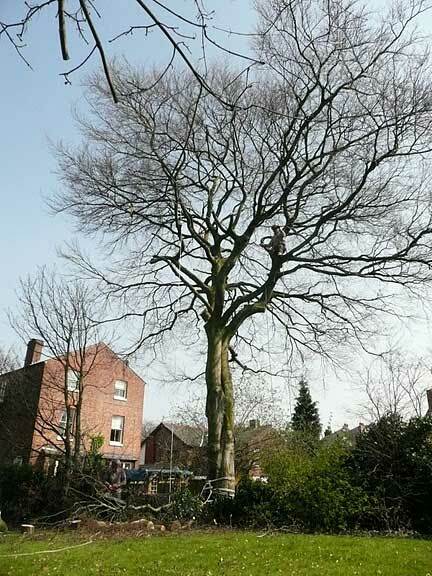 We advised him that if two large sections of the tree and a large branch overhanging his garden were removed then this would dramatically thin the crown and lift it significantly to allow much more light into all the gardens and reduce the branches overhanging one of the neighbours. This method would maintain a more natural form and be far less detrimental to the tree’s health. 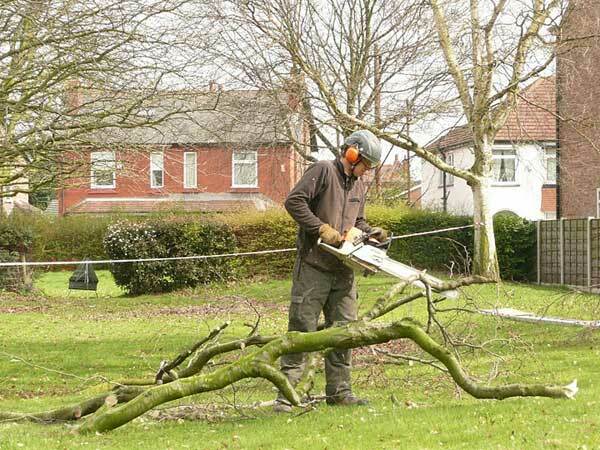 A heavy piece of wood being carefully removed.